I was going through the questions on the Microsoft Excel Community, and one of the questions was on generating random numbers in Excel between 1 to 10, where none of the numbers repeat. My first instinct was to use the RANDBETWEEN function. I did a quick check in Excel, and it failed me – there were repetitions in the results. So I had to resort to the RAND function. It works well with a negligible probability of the numbers repeating (I tested it multiple times on more than 100,000 cells, and there were no repetitions. If you are generating a lot of random numbers, you can test it once). 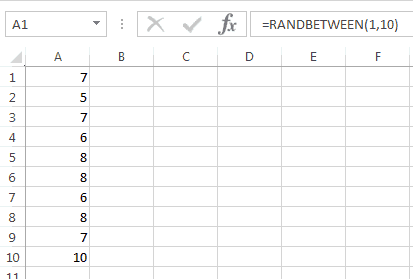 In a column, use =RAND() formula to generate a set of random numbers between 0 and 1. Once you have generated the random numbers, convert it into values, so that it won’t recalculate again and again to make your workbook slow. In the adjacent column, use the following RANK formula and copy/drag for other cells (here I have used it for 10 numbers only, hence A2:A11. You can adjust the range accordingly). That’s it. You would have a list of random numbers from 1 to 10, and none of the numbers would repeat. NOTE: Remember to convert cells with RAND function from formula to values, else it will recalculate and change the list of Random Numbers every time you change anything in the workbook. Caution: While I checked and didn’t find repetitions in the result of the RAND function, I still recommend you check once you have generated these numbers. You can use Conditional Formatting to highlight duplicates or use the Remove Duplicate option to get rid of it. Do you use any other technique to do this? Let me know in the comments section. Only way I found out to do this with zero chance of it repeating was with VBA…your solution probably will work if you’re only doing 10 or something like that. If it doesn’t, you need to generate a random number, fill it in to the array, and for each next random figure you generate, check to see if it matches any figure in the array; if it does, generate a new number, if it doesn’t, store it and go to the next in the array. To me, this is a very elegant solution that should work well more than 99% of the time. Thanks! Hello, I need to know, how I can pick random unique no. in my excel. e.g. I have 2000 account and I need 100 account randomly. When I click one button. Highly appreciate your prompt response. You want to select random records with a click. That would need VBA. Another way could be use randbetween function in a column and then sort the data based on it. Then you can select first 100 records and those would be random. Another way to do this is join the result of 2/3 of function’s result using “&” sign. This will give more probability of getting unique numbers. Sir, i have 1 to 10 numbers in column “A” as A1:A10. Then i want 1 number in B1 in one click, then 2 number in B1 in next click, then 3, then 4,…..then 10. But after 10 i want 1 numer in next click. Is it possible in excel please reply me. 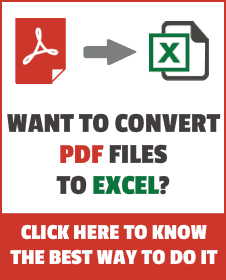 what i understood is “for every click excel has to display 1 to 10 numbers and after 10 it is again 1,2,3……..10.
when i checked with same macro it is running as said above. 3. 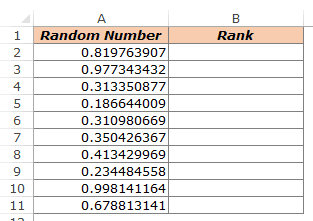 Sort the entire range by the second column of random numbers. You will now have unique random numbers. There is a chance that the RAND numbers will contain a repetition. Thus their RANK would repeat. My trick is to put the numbers you want to randomize in column A put the rand function beside them in column B then sort by column B.. Even if there might be a duplicate inColumn b column a will have none. Good trick.. Thanks for sharing. It is a fine approach when you want the random numbers once. If you need to randomize again, you will have to sort it again.